The American Highway Users Alliance has released a study arguing that the worst bottleneck in the nation exists in Chicago, but L.A. traffic can boast the second-through-seventh worst. 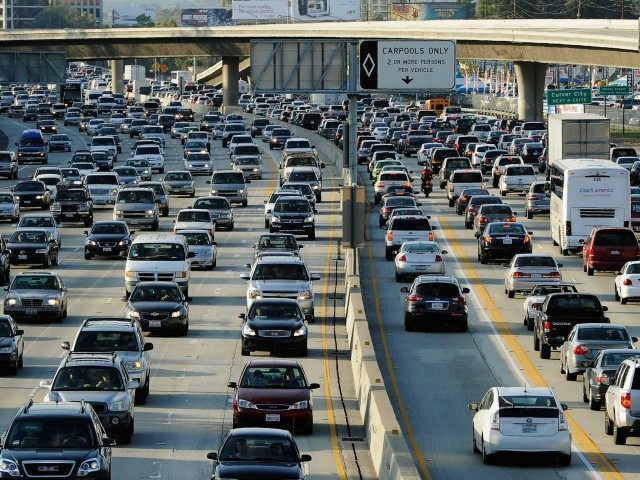 Los Angeles dominated the study as the worst metropolitan area in the country for bottlenecks, claiming six of the top seven examples as well as the 11th, 13th, 14th, 29th, 30th and 40th. The worst bottleneck in Los Angles exists on the 405 between SR22 and the 605; the annual cost of delay surpassed $190 million, wasting 1.8 million gallons of fuel and 36.7 million pounds of CO2, with daily backups over 4 miles long, according to the report. The single worst bottleneck in the country exists in Chicago on the Kennedy Expressway (I-90) between the Circle Interchange (I-290) and Edens junction (I-94). That bottleneck can cause backups of 12 miles, with an attendant cost of 16.9 million hours’ worth of drivers’ time, and a financial cost of $418 million in 2014. Among the top 50 bottlenecks, nine also occur in and around New York City. Last week, the Reason Foundation published a study outlining a $700 billion plan to fix L.A. traffic gridlock called the “Mobility Plan.” Its chief idea is to build six more tunnels, at a cost of $97.2 billion. On November 10, the Los Angeles City Council held a meeting to vote on its own Mobility Plan 2035, which planned for hundreds of miles of bicycle and bus lanes to be added to streets over 20 years to reduce emissions. The plan had been approved in August, but a suit was filed against it by a non-profit called Fix the City.